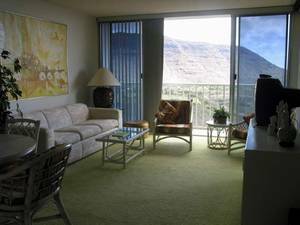 Oahu/Ocean/Mountain View = Makaha Valley Towers Unit 1431 ONLINE BOOKING! Check link below to BOOK IT ONLINE NOW! foot of the Makaha Valley Mountain Range. provides an unbelievably panoramic view. moon, the view is breathtaking. ever having to leave your front door. peacock population adds local color. for a surprisingly affordable rates. 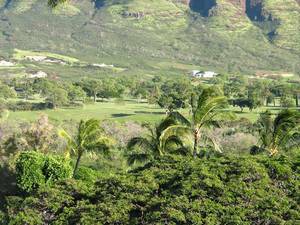 Panaromic bird's eye view of the Makaha Mountains, Valley and the ocean. 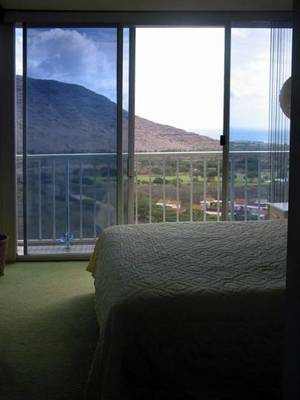 Lie in bed and enjoy your unobstructed panaromic view of the valley and mountians below. Comfortable and large, the living room is a great place to relax or entertain. 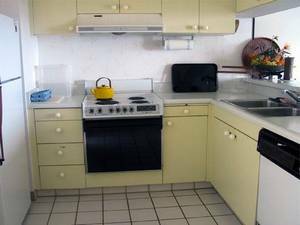 Enjoy the mountain view while cooking in this modern, bright, well appointed kitchen. The dining room area is large and comfortable. 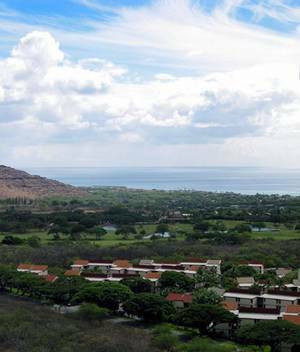 As soon as you enter, you are looking over the magestic Makaha Valley and the mountains beyond. 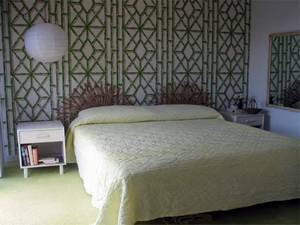 Large comfortable bedroom with dressing area, lots of closet space and bathroom. The view of the East and West golf courses are beautiful. Deposit: 50% Deposit required on stays of 14 days or less to hold dates with balance due 30 days Prior to arrival. 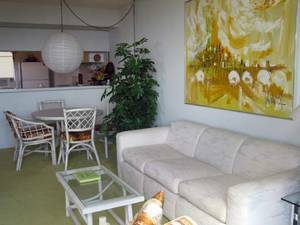 For longer stays a flat rate of $500 dollar deposit is required with balance due 30 days prior to arrival. 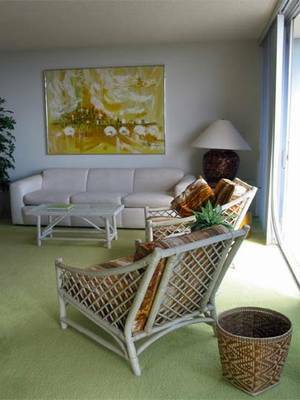 A damage deposit of $100 is also collected and will be refunded after cleaning and inspection is done.We will charge guests after a checkout examination of the unit any excess cleaning or repair fee’s arising from their stay. A valid credit card is required to check into this unit no matter which form of payment you choose to make. Cancellations and Refunds: Cancellations and Refunds: Deposits are refundable less a $50.00 administrative charge for cancellation requests made at least 45 days prior to the scheduled arrival date. Do to the fact that most of our traveling guests book two or three months in advance, guests canceling less than 45 days before arrival will receive refunds only if the unit is rebooked for their reserved dates. We make every effort to rebook any cancellations but we recommend you purchase travel insurance if unsure. Other Fees: There is a $35 registration fee for your booking. For lost or stolen key sets there is a $70 replacement charge.